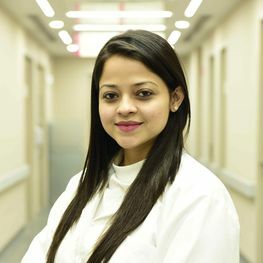 Dr. Shreyasi Sharma completed her MD in Obstetrics and Gynaecology from the prestigious PGIMER, Chandigarh and holds a fellowship in Fetal Medicine from Apollo Centre for Fetal Medicine. She is Fetal Medicine Foundation (FMF UK) certified in 11-13+6 weeks scan, anomaly scan, dopplers in obstetrics and cervical assessment. Her special areas of interest are screening for preterm labour, fetal growth restriction, Rh isoimmunisation, diagnostic and therapeutic fetal procedures and clinical genetics.